The leaves have all turned beautiful shades of yellow, orange and red and have started gathering on the ground over the past few weeks – Fall is officially here. 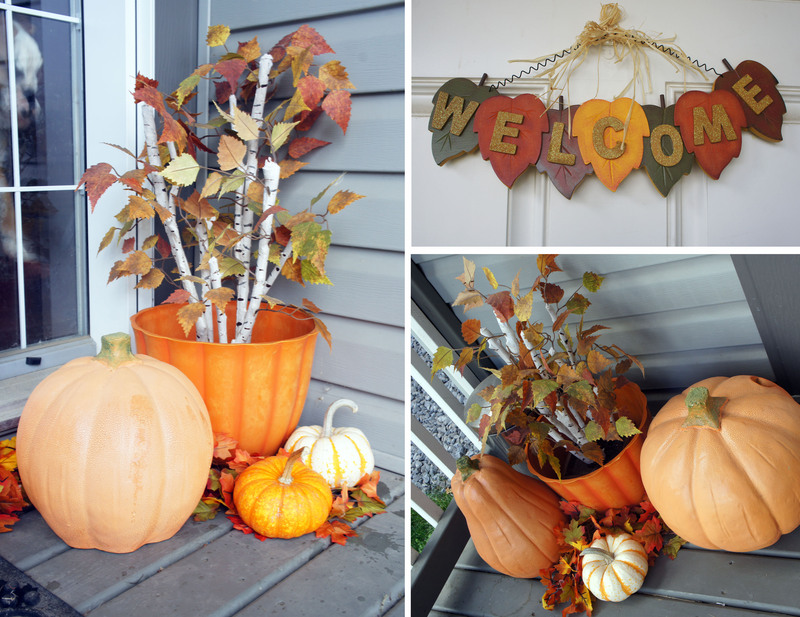 The flowers in my planters are looking sadder and sadder as the days pass and I am happy to have some fall themed items to put on the porch to spruce it back up and celebrate the change of season. The large pumpkins I use on my porch are ceramic and were found at Winner’s several years back. 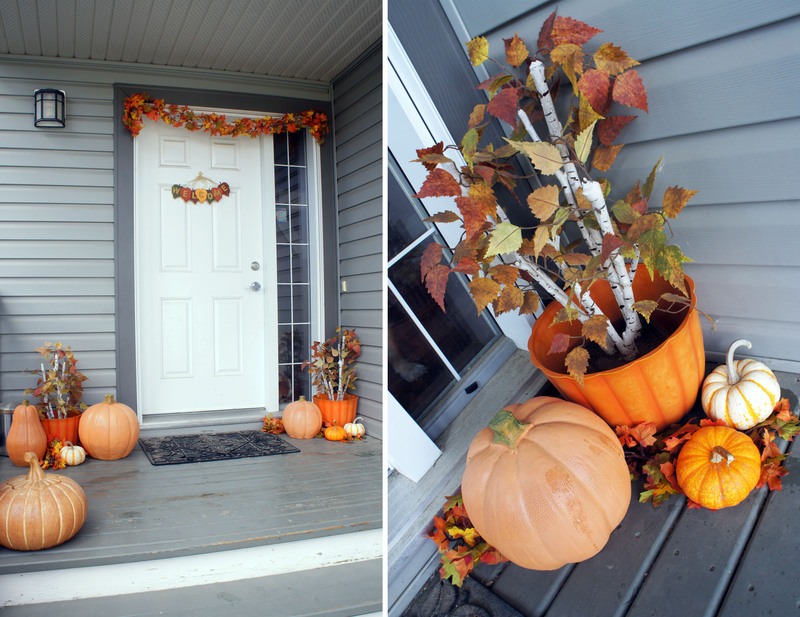 They were more expensive then a real pumpkin, but I like that they are something I can reuse year after year. 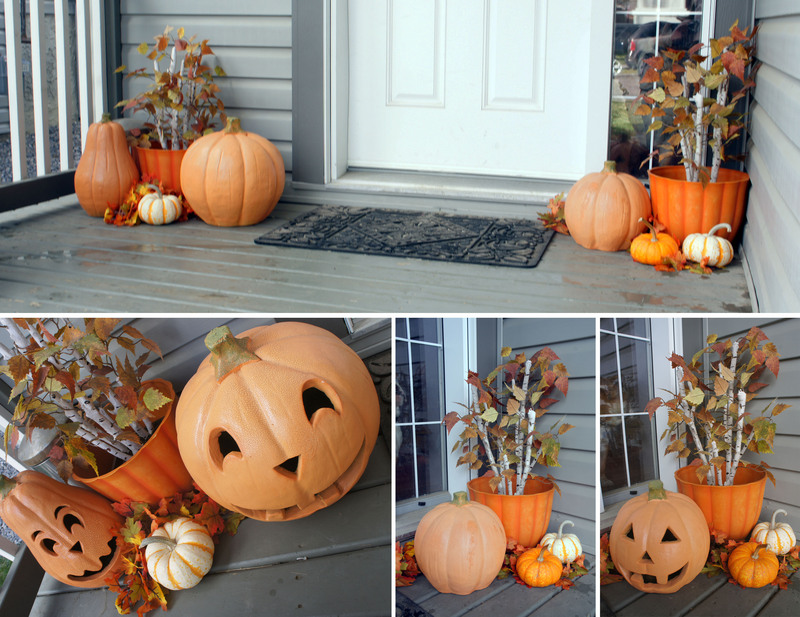 Combined with a few small real pumpkins or gourds, it is a quick and easy holiday display. And the best part? 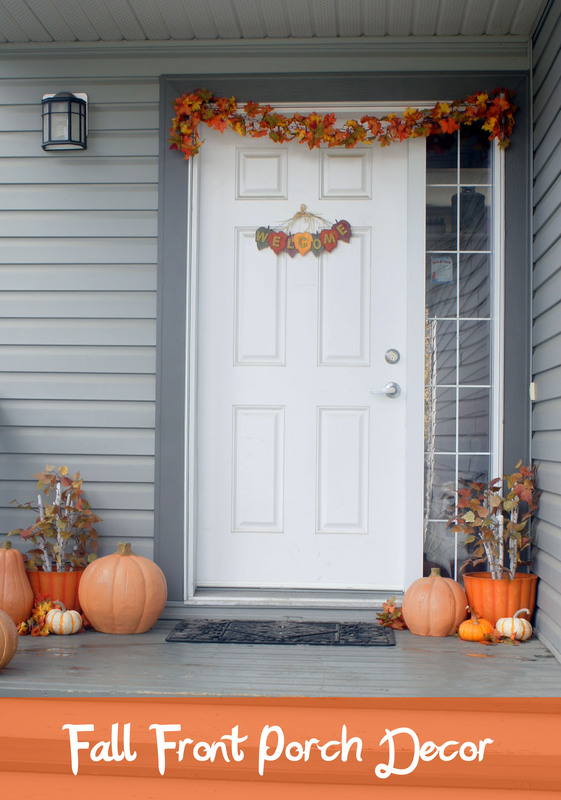 Come Halloween all I have to do is rotate my pumpkins around, add in my “Happy Halloween” tombstone and switch the welcome sign for our house is ready for trick-or-treaters! 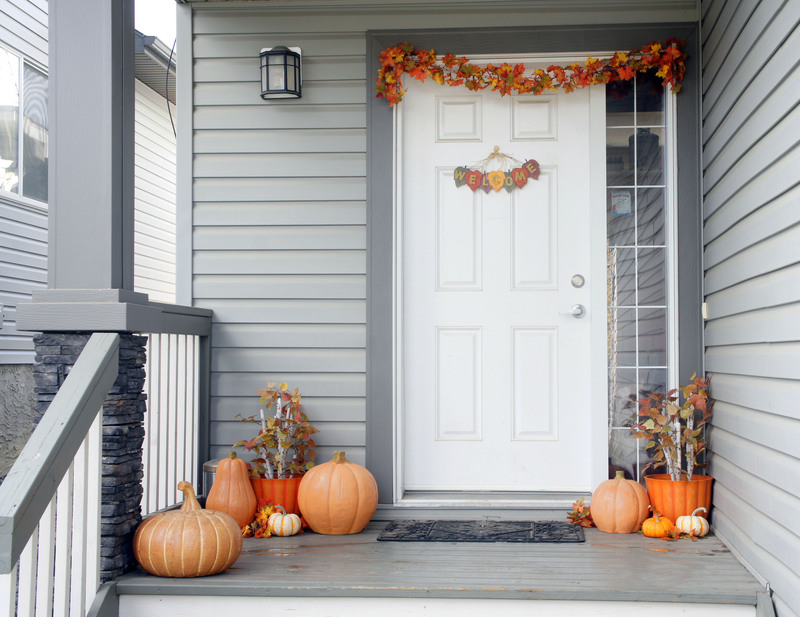 Hopefully it looks as good on the front porch of our Forever House next Halloween!